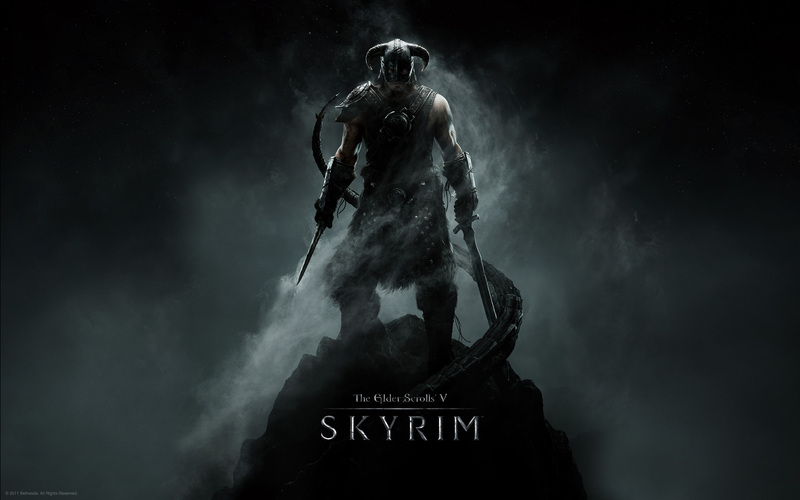 With so much excitement surrounding Elder Scrolls V: Skyrim we thought that some of might want high-resolution Skyrim wallpaper to pimp-out your computer’s display – luckily for you we have scoured the web for five great Skyrim wallpapers, all of which can be found on this page. The first two are official wallpapers from ElderScrolls.com, you can download the two wallpapers at a wide-range of resolution here. Alternatively you can click on any of these wallpapers to see them at the highest-resolution available. Below you can see a wallpaper called “Aerial Attack” – something you will have to get used to in Skyrim when the a dragon picks up your scent. This next wallpaper is made up of one of the most iconic Skyrim promotion images, not only does it remind you of the weaponry in the game but you also see an eerie tale – the official name of this wallpaper is “Dragonborn” which suggests that is a dragon’s tail. Whenever looking for wallpapers we check out DeviantArt.com, this site brings you lots of user-created content, so a quick search for “Skyrim wallpaper” returned lots of results, the image below is made up of elements from the Aerial Attack and Dragonborn wallpapers – click on the image to see it at a higher-resolution. 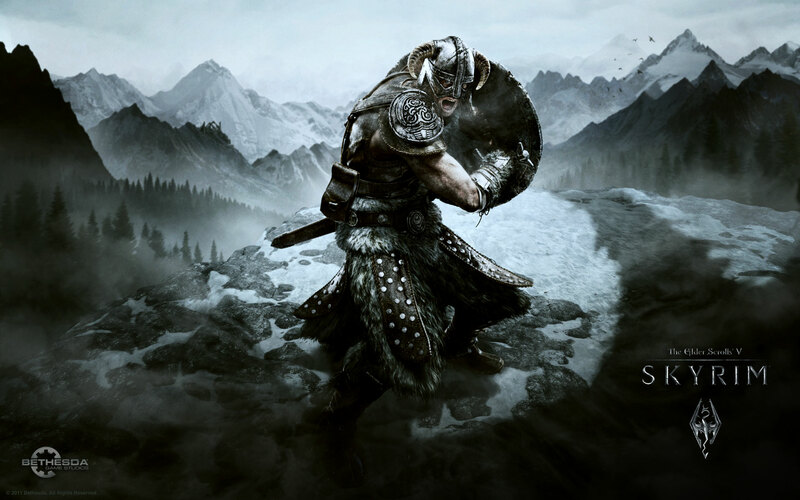 The next wallpaper is quite different to all of the others, instead of a dark and dingy design if features snow-covered mountain tops with “Elder Scrolls V: Skyrim” written in suiting text. Finally our favoirute of them all is again from DeviantArt, this wallpaper is made up mainly of the image used in the Dragonborn image – but this time there orange and blue lighting, perhaps signifying the path you take in the game, good or evil. Have you found any other wallpapers? If so, leave us a comment and a link to the wallpaper in the comments section below.